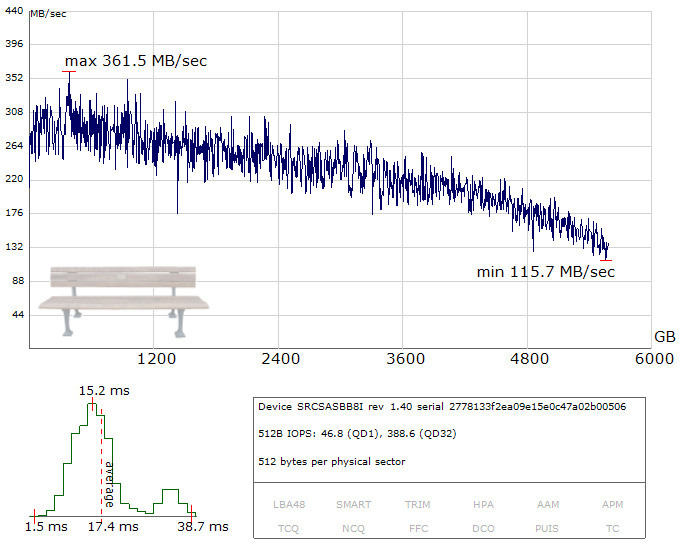 This is the sample benchmark chart for RAID 6 of five Western Digital EARS hard drives connected to the Intel controller. Linear read speed is higher than for a single disk. Similar to a single hard drive it decreases to the end of the array due to decrease of per-track data density. Access time distribution has an unusual form with two distinct maximum values. However, average access time practically doesn't change as compared with a single disk.